Veronika Scott was a kid of addicts. She ended up getting a scholarship and went to college. While a design student in Detroit, she was given the assignment to create something that would fill an actual need. That assignment changed her life. Veronika wanted to provide the homeless with something that would really help them. She started by doing her research at homeless shelters. She designed a warm, heavy-duty coat that can be folded out into a sleeping bag. It is designed with insulation for warmth, with Velcro because buttons pop off and zippers can malfunction, and it gives room for bulky clothes or possessions to be worn underneath it. When Veronika was testing one of her prototypes at a homeless shelter, a homeless woman screamed at her and told her that they didn’t need coats, they needed jobs. Veronika realized that was the truth. She now hires women from the homeless or women shelters to manufacture the coats. Her company employs 20 previously homeless individuals and are dedicated to paying a living wage. What started off as a class assignment changed her life, she is now a 24 year old CEO and founder of the nonprofit company: The Empowerment Plan. If you or someone you know has done something that has helped others or is changing lives, let us know and we’d love to share their story. Click here: Millennials Share Hope. Think you are “just buzzed”? It is called drunk driving. Sierra used this tragedy in her life as motivation to try to help others and keep them from experiencing the same type of loss that she did. I commend her for what she is doing, and I want to show my support by lending my voice to the conversation about drunk driving. There have been good campaigns to raise awareness about drunk driving. Yet even so, alcohol-related car accidents claimed one life every 52 minutes in the United States or 10,000 lives a year. (National Highway Traffic Safety Administration). This is the equivalent of 20 Jumbo Jets crashing and killing everyone on board. Can you imagine the public outrage if 20 Jumbo Jets crashed in one year? 10,000 lives a year¦this is unacceptable. I hope you are not under the misconception that the drivers in these drunk driving related accidents are all alcoholics or raging drunks. Many times it is someone who had one too many drinks and still thought they were o.k. to drive. 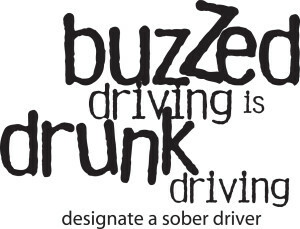 The Ad Council put out a series of ads a few years ago highlighting the fact that Buzzed Driving is Drunk Driving. This message is important to repeat. Today I want to dig a little deeper into what buzzed drivingmight include, so that anyone reading this will no longer be able to say, ¦but I thought I was fine. Alcohol not only impairs your ability to drive, it impairs your judgment about whether you can or should drive. Too often, people who drink think they are okay to get behind the wheel because they only feel a buzz.The truth is you don’t have to be falling down drunk to be a menace to everyone around you on the highways. 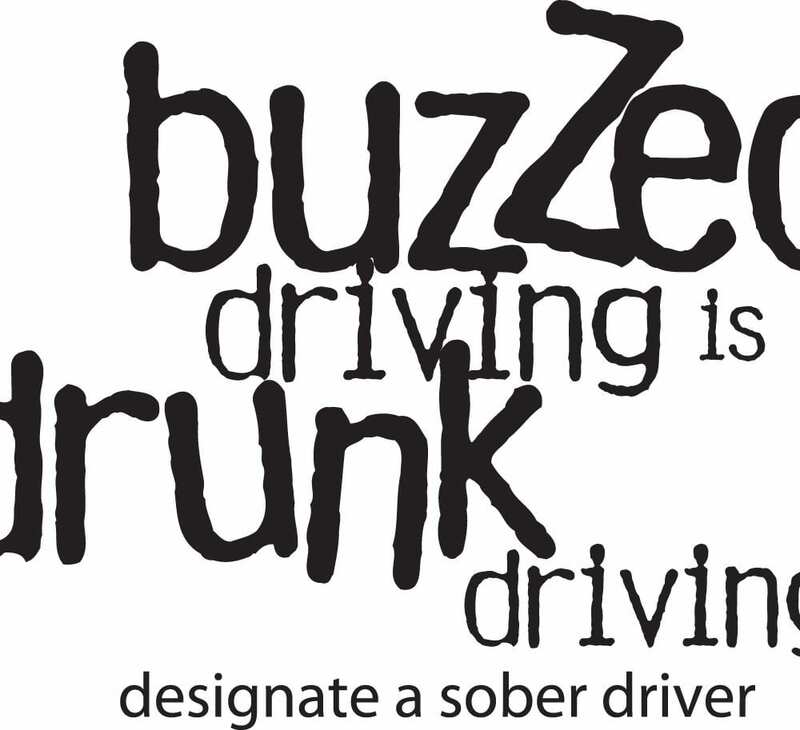 Remember, Buzzed Driving is Drunk Driving. Here’s another way to look at it “ If you have been drinking enough to say “I’m just buzzed” then basically you are already drunk. Your ability to drive safely has already been impaired. One doesn’t have to be falling down drunk, reeling from wall to wall to have their judgement and coordination affected. Now I’m going to get a bit technical for a moment because I think this is important to understand. In all 50 states the LEGAL Blood alcohol limit is .08. However, let’s look how the body is affected at even lesser levels of blood alcohol content (BAC). With a BAC of 0.03 – 0.06 you experience feelings of warmth, relaxation, mild sedation; exaggeration of emotion and behavior; slight decrease in reaction time and in fine-muscle coordination; impaired judgment about continued drinking. By 0.07 – 0.09 you demonstrate more noticeable speech impairment and disturbance of balance; impaired motor coordination, hearing and vision; feeling of elation or depression; increased confidence; may not recognize impairment. So how much do you have to drink to get to these BAC levels¦NOT. THAT. MUCH. For an average 150 pound person, if they have 1 drink in one hour, they will be right around a .03 BAC and after two drinks they would be at a .06. (A drink equals 12 oz of beer, 5 oz. of wine, or 1.5 ounces of hard alcohol.) You need to ask yourself already, is it worth the risk to get behind the wheel? Also “ you may have heard it said, It’s been an hour, since I’ve had a drink so I’m fine.But the truth is that the body absorbs alcohol more quickly than it processes it. This is why alcohol concentrations build steadily while drinking. On average, your blood alcohol content only decreases by .015 an hour. So if you had two beers in an hour raising your BAC to .06 you can only subtract .015 from that for the time allowance. I share these detailed numbers because I want you to understand how little it takes to become impaired. There are so many misconceptions and I want to shoot straight with you because I KNOW you don’t want your uninformed actions to ever take life. Find more information by clicking here to go to the National Highway Traffic Safety Administration. If you are ever in doubt, just get a ride! The point of cutting is ultimately to cover over a much deeper emotional pain. Self-harm is a way of coping with overwhelming emotional feelings such as sadness, self-hate, emptiness, or guilt by purposefully inflicting injury on oneself. It is a secretive and incredibly harmful addiction. It can take on many different forms such as cutting or burning of skin. And it is destroying too many lives. This is why Samantha says she cuts: Every time I cut, everything that I feel is GONE! This fall it will be three years that I have been addicted. And I can’t help it. I can’t go over two days without it. It is what brings me up so I don’t have to feel emotional pain, because I’ve learned physical pain is nothing compared to emotional. 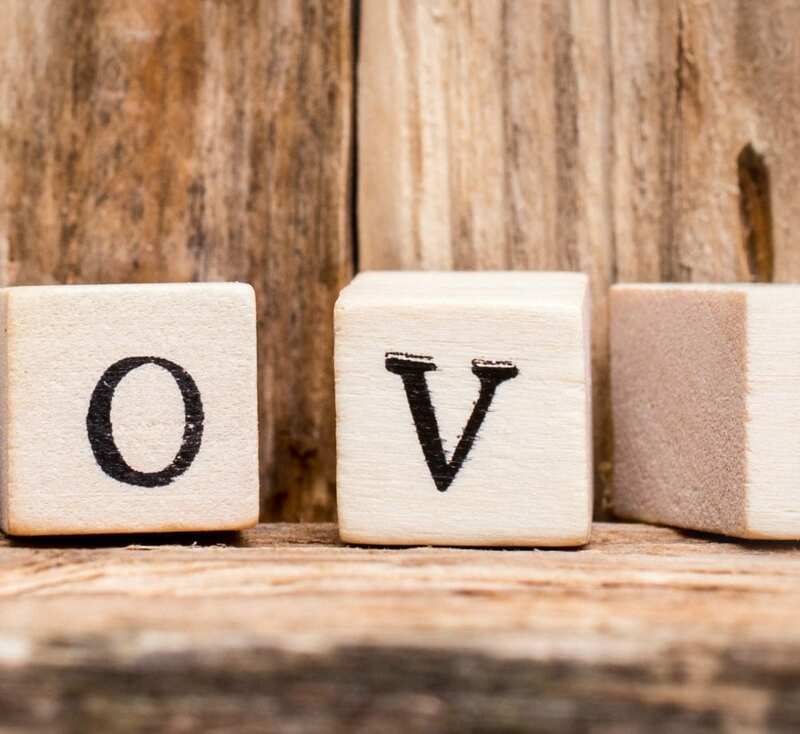 For those who struggle with painful, emotional issues, self-injury is a way to release their internal suffering and deal with feelings that are not easy for them to express. It is a way for them to feel in control. Since they can’t control their emotional pain, they control their physical pain through cutting, etc. 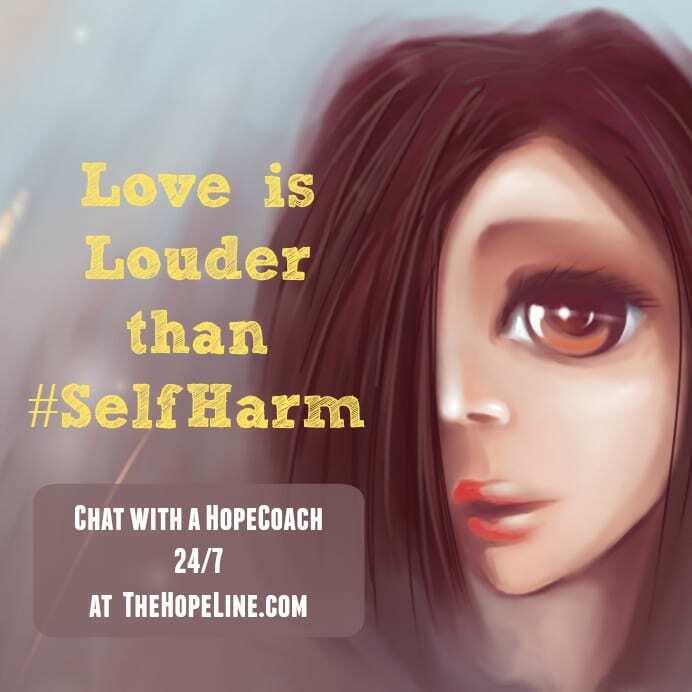 People who self-harm are not trying to kill themselves; they are trying to cope. Facts, figures, and definitions are all fine. But if you are a cutter, you know the agony can not be described in numbers or words. You may be cutting and not even know why. And now that you’ve started, it is hard to stop. Your brain has connected the false sense of relief with cutting, and the addictive cycle begins. You self-harm¦you feel guilty about it¦you don’t know how to deal with your guilt¦so you self-harm. If you are self-harming, I am here to tell you there is hope for you! With a little help, you CAN stop the addiction and you are not alone. 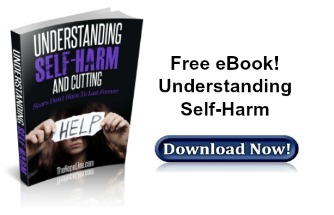 For more help if you are struggling with self-harm, check out TheHopeLine’s free eBook. We all have things we deal with…problems, conflict, abuse in our lives. It’s hard to know who to talk to, who will listen and not judge, who will offer good advice and not just say the first thing that pops in their head., who will understand but not let your issues affect the way they feel towards you. That’s why TheHopeLine is here. 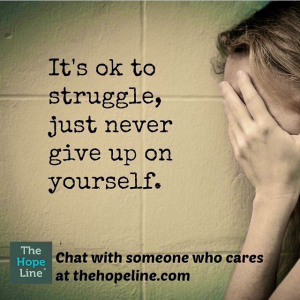 It’s a safe, non-judgmental place to talk about your struggles. Here are a few courageous people that reached out for help and found TheHopeLine in time to help them in their time of need. Talking about it – CAN HELP. I made some bad choices over the summer resulting in therapy to try and better myself. Once the therapy stopped, my feelings got worse. I tried reaching out to friends and family, but no one was really there to help and some friends and family members even caused more problems for me. I started to have suicidal thoughts once again and harmed myself for the first time in several years. The conversation with my HopeCoach helped me get these things off my chest and showed me that I mattered. They made me realize the good things I have to look forward to, helped me realize that I do matter, and showed me some new resources in case I get worse again. My conversation with my HopeCoach helped me immensely! When I found your site I was skeptical at first, I never told anyone about my dilemma. When I was very little my brother, who is ten years older than me, started abusing me. He would make me do sexual things to him and do things back to me that I didn’t want. He repeatedly did things to me that was and never will be right. He threatened to kill me and my mom (he was my step brother and we shared the same father) and I was scared to tell anyone in fear of being hurt by him. When I was 5, he went too far and took my virginity. When I was 5 years old! That was the line for me and I had the guts to tell my parents and he was sent to jail. I blocked these things out of my mind until a year ago…memories flooded back and I couldn’t control myself. I started self-harming. When I found out he had been allowed out of prison, I was so scared that I tried to commit suicide. When I found this website I was in lots of pain and telling my story really helped me and I’m in a better place now. Thank you, you really helped me. Talking to a wonderful person through email over the past few years (I am now 25, started talking to him when I was 22) has really helped me. He checks in on me once or twice a month to see how I am doing. This guy has really helped me see the good of life and I learned a lot from him. I am now in college being successful. Thank you for saving my life before it got too bad where it could have killed me. You all rock! If you need help, check out TheHopeLine’s eBook library, with eBooks on Dating, Self-Worth, Depression, and much more!